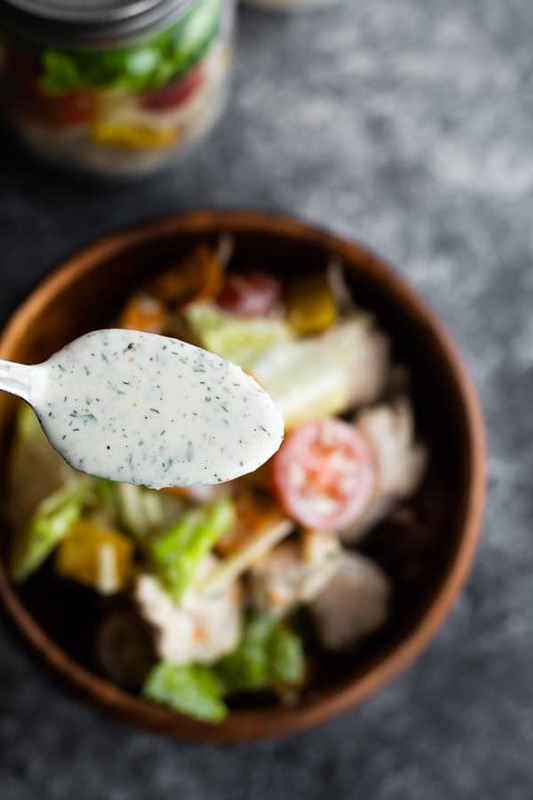 This healthy homemade ranch dressing is made from scratch so you know exactly what’s going into it! Sharing two healthier ranch options: a healthier buttermilk ranch dressing and a healthy yogurt ranch dressing. 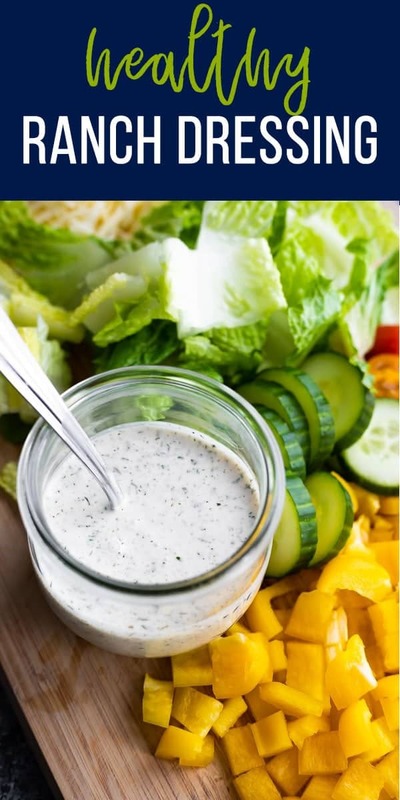 Ranch dressing is one of my guilty pleasures, but with this healthy homemade ranch dressing, there is no guilt required! 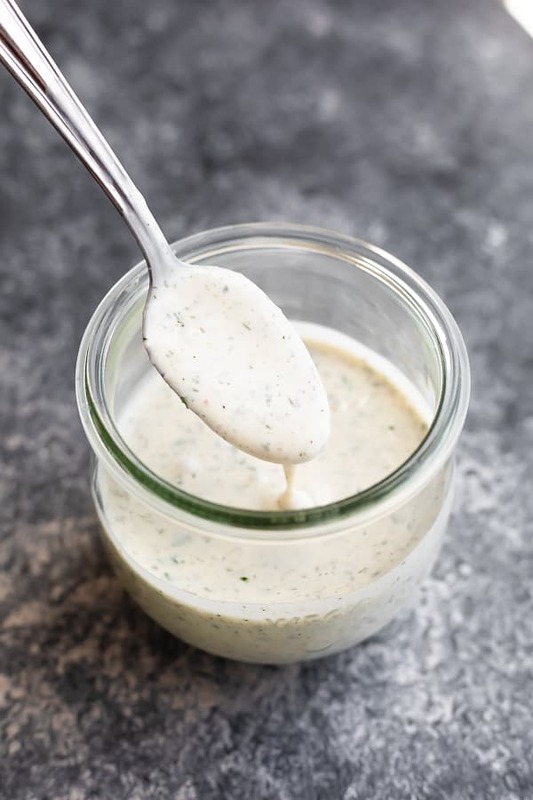 This homemade ranch dressing is made from scratch with wholesome ‘clean’ ingredients, and the best part is it only takes a few minutes to whip up a batch! Not only that but this ranch dressing recipe keeps in the fridge for a week. and it keeps in the fridge for a week! 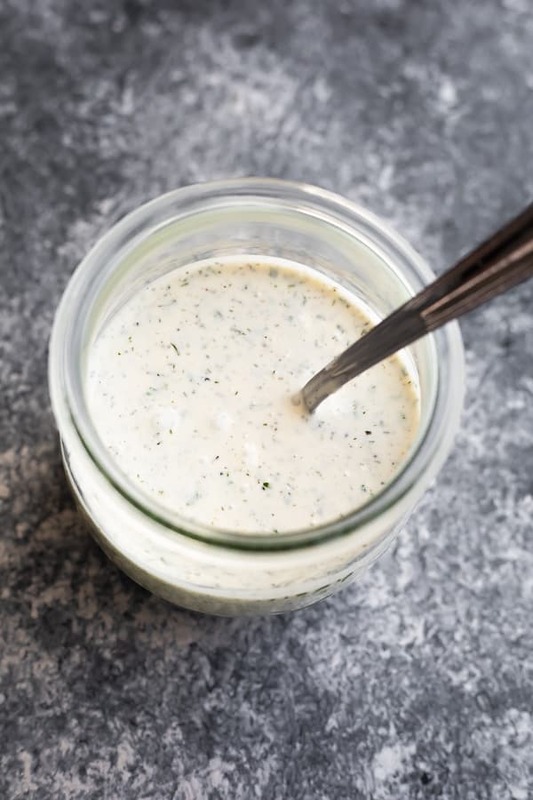 To make this ranch dressing at home, you are first going to need to make a batch of my Homemade Ranch Seasoning (which has just 6 ingredients). 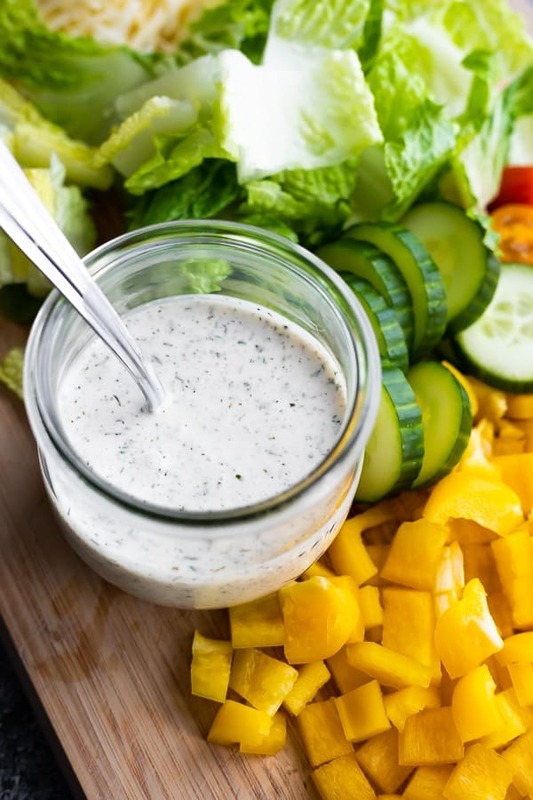 So simple, and this ranch dressing recipe stores in the fridge for up to 1 week! Can I make this ranch dressing recipe without the buttermilk? Yes, or you can make your own buttermilk using regular milk and lemon juice! Find my directions here. If you’d like, you can swap for regular milk. Can I make this ranch dressing vegan? I bet you could, however I haven’t tried. I would try with almond milk, coconut yogurt and vegan mayo. Can I freeze this homemade ranch dressing? Unfortunately dairy does not freeze well, so you can’t freeze this ranch dressing. It keeps in the fridge for up to 1 week. 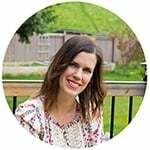 What are some ways I can use this ranch dressing recipe? I have a ton of ideas for you! This healthy homemade ranch dressing is made from scratch so you know exactly what's going into it! Sharing two healthier ranch options: a healthier buttermilk ranch dressing and a healthy yogurt ranch dressing. Stir together all ingredients. Enjoy immediately or refrigerate for up to a week.